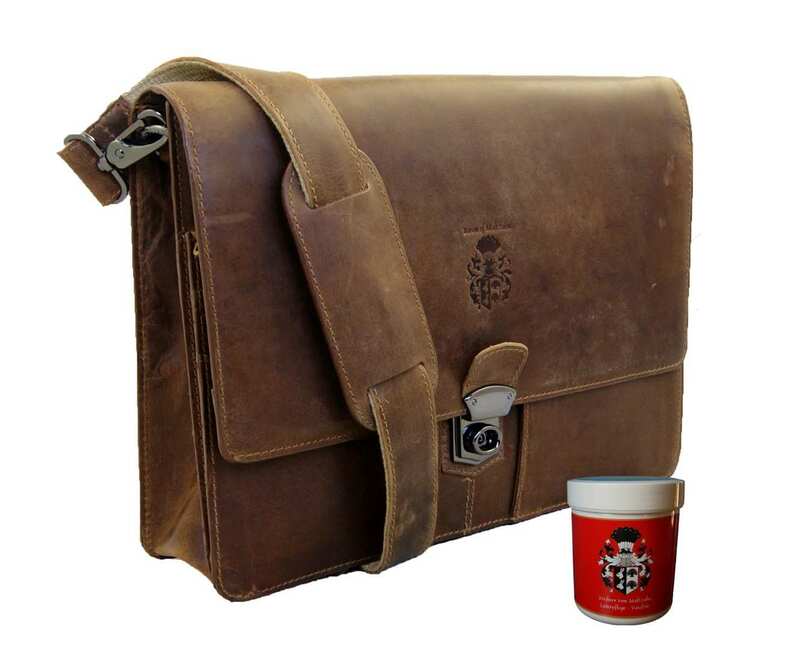 Product information "Portfolio bag SCHILLER with shoulder strap"
Your splendid companion on the go: the grassland leather portfolio bag SCHILLER of the exclusive collection’s designer BARON of MALTZAHN from Leppersdorf, Germany. Nowadays everybody attaches importance to the concept of flexibility: whether you are heading to the office or to an informal appointment, you may need to carry your laptop and other belongings with you to be well prepared at any time. 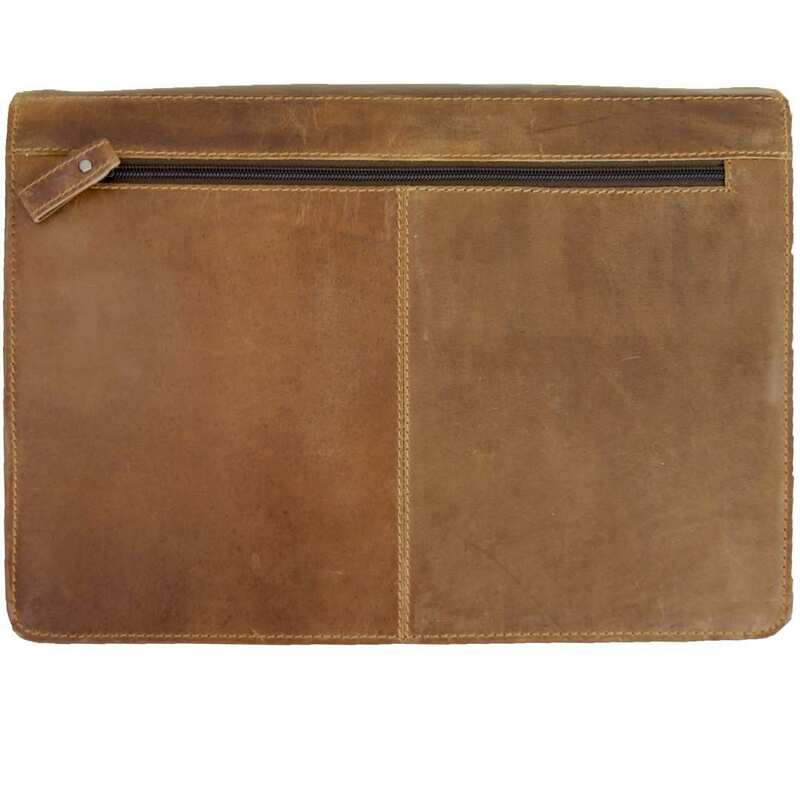 The portfolio bag SCHILLER is made of a sturdy, genuine leather that protects your MacBook and other devices very well. 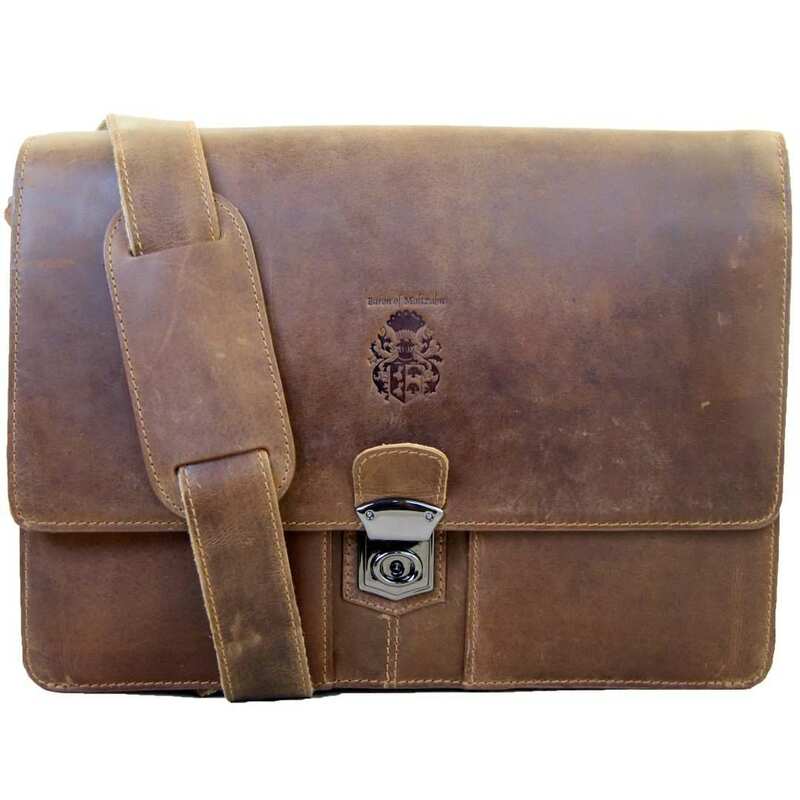 At the same time, this briefcase offers a fantastic appearance thanks to the captivating used-looking material that provides a modern and fancy touch. The adjustable shoulder strap with the matching pad enables you to carry this folder hung over the shoulder and so enjoy the comfort of having free hands. The special touch of the portfolio bag SCHILLER made of grassland leather bag lies in a very modest detail: the embossed crest of the noble designer BARON of MALTZAHN. This model is a fine combination of handicraft, exclusive design and practical functionality that fulfills every wish. 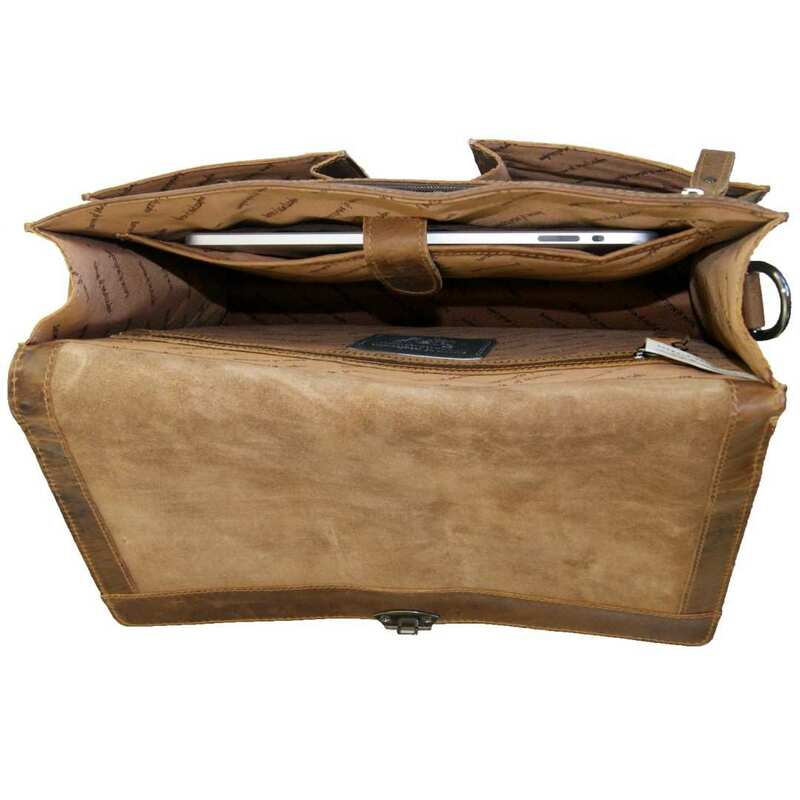 The briefcase SCHILLER is made of exceptional grassland leather and has a total size of 14.2 x 3.5 x 11 in (36x9x28 cm). 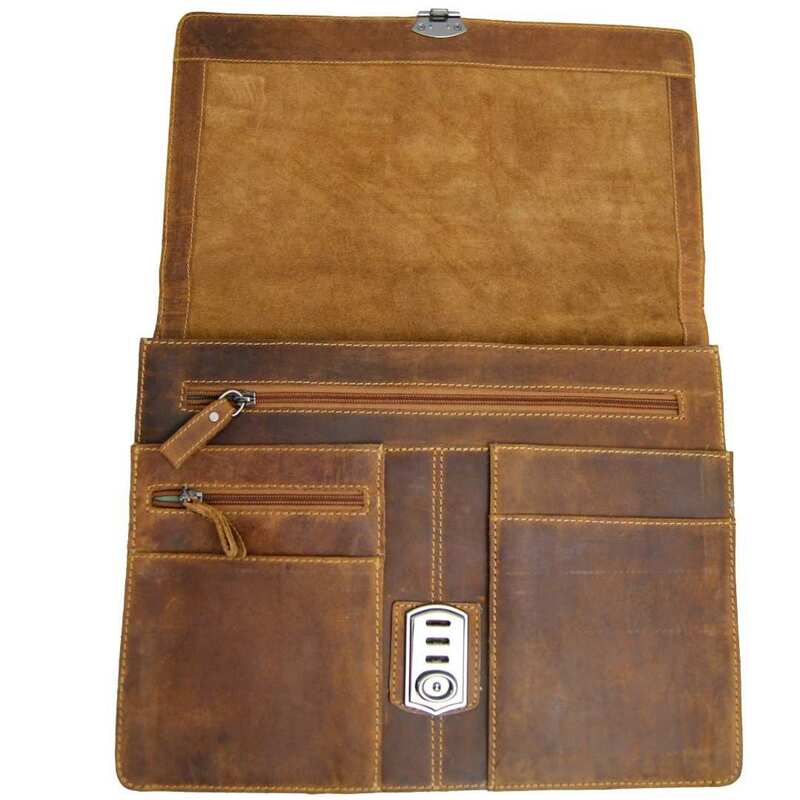 It is ideal to store a MacBook, iPad or notebook. 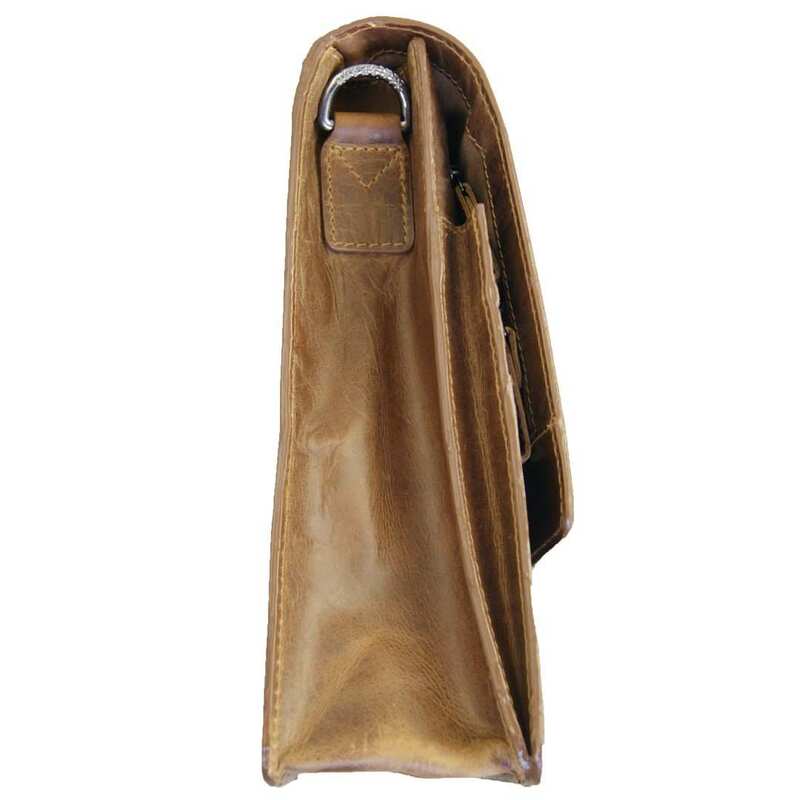 The leather portfolio bag SCHILLER has on main inner compartment, four front pockets of different sizes, two inner zippered sections and another outer zippered compartment. The shoulder strap has a length of 59.1 in (150 cm) and is adjustable to your preference. Each bag of our collection is a handmade unique piece. In this case, the grassland leather gives the portfolio bag SCHILLER a singular and inimitable character. Let yourself be praised thanks to this magnificent leather article! Reviews for "Portfolio bag SCHILLER with shoulder strap"
Fantastic bag and excellent quality. BVM makes excellent leather products. I have purchased 4 items so far and never disappointed.